When I was first starting out building web sites, I would contact bands I liked and ask them if they needed any design work done on the cheap. That’s how the site for Unwed Sailor came about. 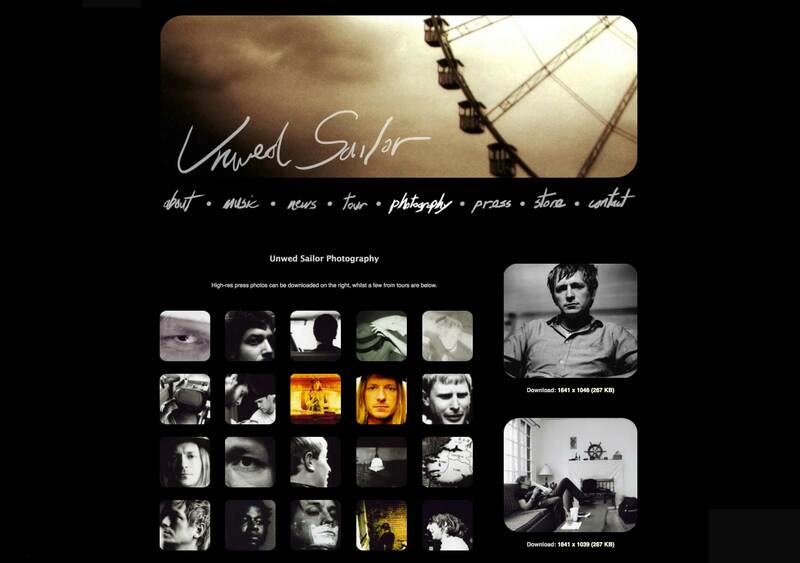 Unwed Sailor was creating some really distinct, impressive instrumental albums that had a sense of optimism and longing that I’d found I connected with more readily than most other bands I was checking out at the time. So I put together a site that centered on the band’s photography and paintings, pairing those visuals with the music whenever I could, often through Flash-animated album players.